Hoping to lure new anglers to the sport of bass fishing, a Conway resident reveals his secret for catching largemouth bass. 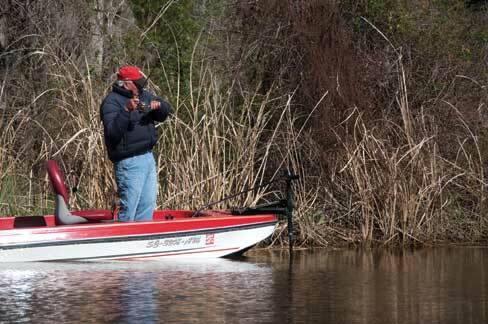 Fishermen often lament the big one that got away, but not Fred Floyd of Conway; more often than not, when Floyd sets the hook, he puts another fish in the boat. While Floyd claims not to be obsessed with bass fishing, in 2011 he determined to catch one thousand largemouths in one year from his favorite fishing holes around Horry and Georgetown counties. That's an average of about 2.75 fish per day. Floyd accomplished his goal, but it took every one of the 365 days on the calendar. He awoke on New Year's Eve 2011 needing twelve more fish, and finally landed the 1,000th largemouth at 1:30 that afternoon. Some folks may wonder how he did it. Indeed, but the question that really begs to be answered is why did he try to accomplish such a feat - in his spare time, no less? "Well, it was challenge," said Floyd, "and I thought, 'why not.' So I just decided to keep up with it for a year and see how many I could catch." And that's how it all started, on a whim and with a pastime out of control. 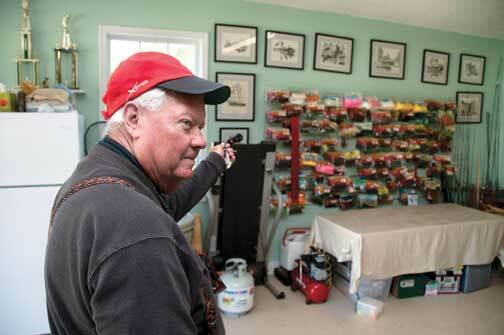 Now retired from Grand Strand Water and Sewer, Floyd, 65, was introduced to bass fishing in the early 1970s by a neighbor. "My daddy had a hotel at the beach years ago, and an older gentleman across the street liked to run a jig pole, and he took me fishing," Floyd said. "Of course I didn't have a pole or tackle box or anything, but after that first day, Lord, I was sold on it. So I started picking up some stuff here and there. Next thing you know I had my own boat, and I've been bass fishing ever since." And more than forty years later, Floyd still loves to catch the popular game fish, although he rarely eats any type of fish and releases all he catches to fight again. Today, he believes skilled fishermen have a responsibility to teach the younger generation how and where to catch fish, but just as importantly to also instill in young anglers good conservation ethics and fish management practices like the catch-and-release strategy he employs. "I know how to fish and I really feel like I need to pass this on to somebody else and let them enjoy it, too," said Floyd. "People should just get out there in the spring or the summer when all the flowers are blooming, then they would see how beautiful the outdoors can be. For me, that's just as much fun as the fishing." Not only is bass fishing fun for anglers, it is profitable for folks in the tourism and recreation industry in the Palmetto State. According to a 2006 report prepared for the S.C. Department of Natural Resources by Southwick and Associates, a research firm specializing in fish and wildlife statistics, on average nearly a quarter-million bass anglers spend $215 million fishing for largemouth bass in South Carolina waters each year. How's that for a fish tale with a happy ending? Although some, like Floyd, practice catch-and-release, not all are so conservation-minded, and to help keep the largemouth bass and other popular freshwater species from becoming depleted, new regulations passed by the South Carolina legislature in February 2012 lowered creel limits in most public waters of South Carolina to no more than five largemouth bass per day, with a minimum size of fourteen inches. 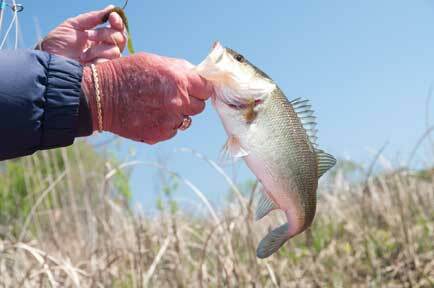 Will the new regulations discourage folks from taking up bass fishing? Not likely, according to DNR Chief of Freshwater Fisheries Ross Self. "It doesn't keep you from catching just as many fish as you have in the past," says Self. "You just can't put them all in your live well." Besides, five fourteen-inch-long largemouth bass could weigh well over ten pounds; that's a lot of fish to clean. When Floyd goes fishing, most often that means a trip to the Great Pee Dee River near Samworth Wildlife Management Area. He only fishes the falling tide, and usually fishes with a green pumpkinseed Carolina-rigged plastic worm. He admits to occasionally using top-water plugs and crank baits, but insists the plastic worm produces the majority of his strikes. There, that's how he did it. Well, that and going to the river five or six days per week. He rarely, if ever, fishes on Sunday, but he does fish in the pouring rain, intense heat, freezing cold and even twenty-miles per-hour wind gusts, when few other fishermen even launch their boats. "A few times it was so cold that my hands still hurt when I tried to fall asleep at night," Floyd says. "But I got up the next morning and went right back. Five times last year I caught eighteen in one day, but I went two days when I didn't get the first strike. One time I caught twenty-three; that was the most I ever caught in one day." Floyd takes little credit for his accomplishment, except for his persistence. He says practice, more than skill, makes a good bass fisherman, and of course a little luck is helpful, too. Of all the memories of his own personal record-year fishing for largemouth bass, Floyd says the thing that stands out the most is landing the 1,000th fish. Although it was not the biggest fish he caught that year, it was a largemouth and that was all it needed to be. Floyd kissed the fish on the head, dropped it back in the Pee Dee River and put down his rod without throwing another cast that day. "It was like a storybook ending for me," he says. "Looking back at the overall picture, I fished some days when I really didn't want to, but I needed to be out there adding to the total. And finally, I did it, but I won't ever try that again. You know, I'm already excited about going back to the river tomorrow." 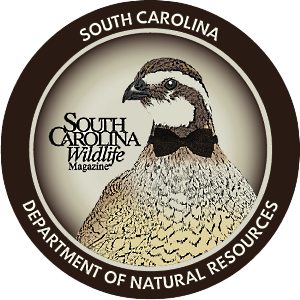 Joey Frazier is editoral assistant for South Carolina Wildlife magazine, and he's an avid deer hunter.